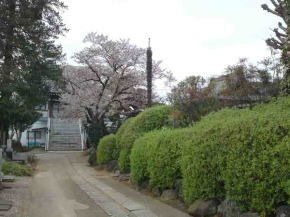 Chokokusan Ankokuji Temple is in the residential area in Ichikawa city. 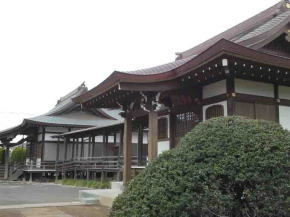 The temple has 3 buildings, the main hall, Kishibojindo hall and Myokendo hall. 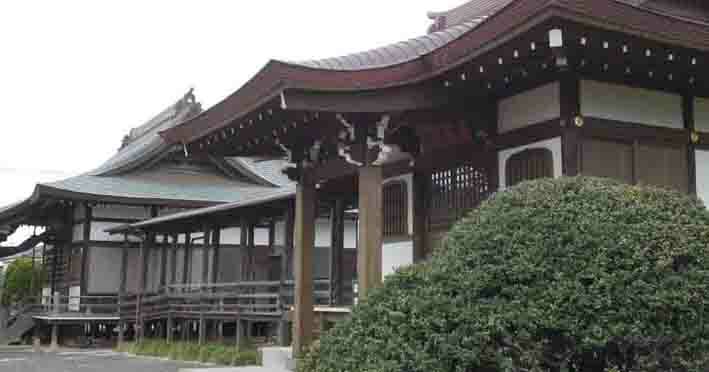 It was built by Nobunori Soya who was one of great supporters of Nichiren, the founder of Nichiren sect in Kamakura period, so the first abbot of Nakayama Hokekyoji Temple, the venerable Nichijo, a great supporter Noriakira Ota and he believed Nichiren deeply. 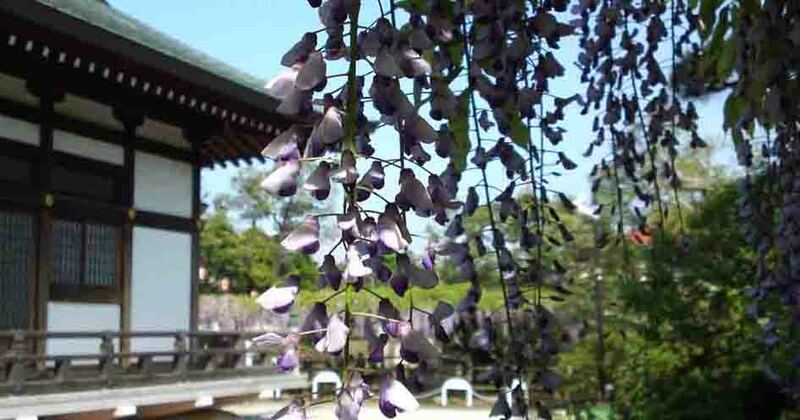 Soya Family is a branch family of Chiba Famliy actively having dominated Shimousa province in the middle ages and Chokokusan Ankokuji Temple was built to pray the prosperity of Chiba Family. Moreover, the statue of Myoken Bosatsu was very famous in Edo period. According to Edo Meisho Zue (a guide book describing Edo in Edo period), it dedicated in Ankokuji Temple was carved on the same piece of wood as it had been dedicated in Senyoji Temple in Chiba city. Anyway Soya Family ruled this area and it was built on the remains of Soyajo Castle in Kamakura period, and there was the remains of Soyajo Castle in Sengoku period near Chokokusan Ankokuji Temple. Chokokusan Ankokuji Temple was built in 1260 by Nobunori Soya, the lord of Soya village since he deeply believed the Founder Nichiren, the founder of Nichiren Sect, and he named the temple after 'Rissho Ankoku Ron' written by Nichiren. Later Norinobu became a priest and was given his Buddhist name Horen Nichirei by Nichiren. 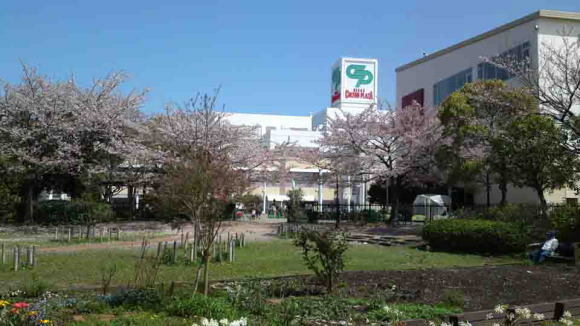 He charged his son Tanetsugu with the family affairs of Soya Family. Nichirei dedicated the statue of Myoken Bosatsu to pray the peace and security of Chiba Clan. 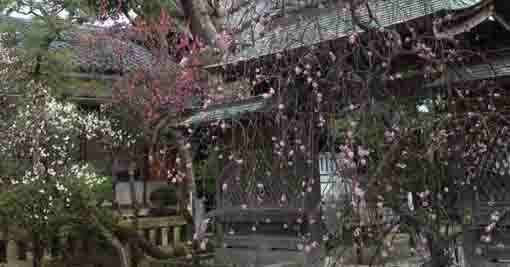 After that he built another temple in Ono in Ichikawa and he moved to it. 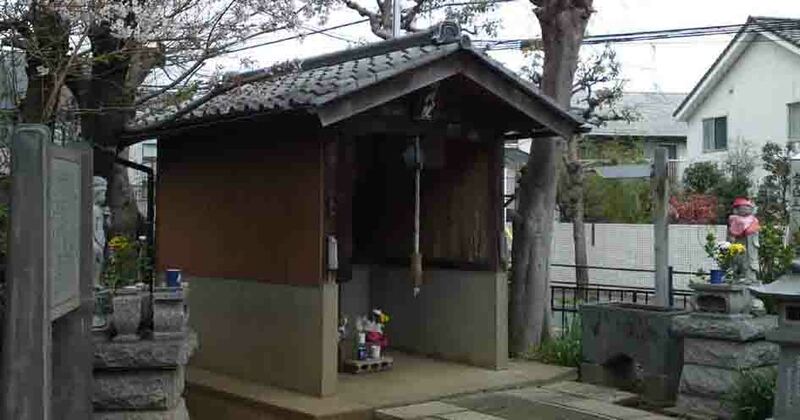 He named it Soyasan Horenji Temple after his Buddhist name. He passed away in May 1st of 1291. 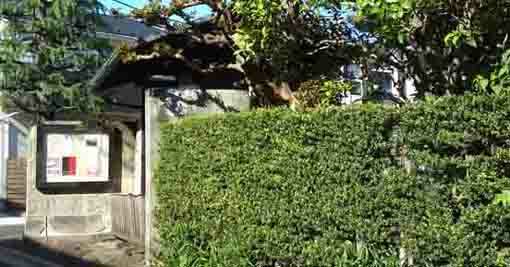 After Syoa Family was died out in 1456, Ankokuji Temple had fallen into ruin, only Myokendo Hall had stood in. 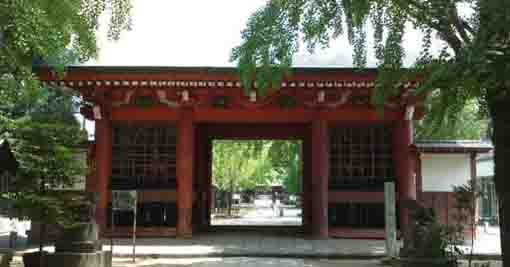 The venerable Nichijun rebuilt the buildings in Chokokusan Ankokuji Temple in 1669. In April 1774, a Confucian scholar Nankaku Hattori and a calligrapher Useki Matsushita built a small shrine and a torii gate, then they dedicated a statue of Wang Xi-zhi in it. 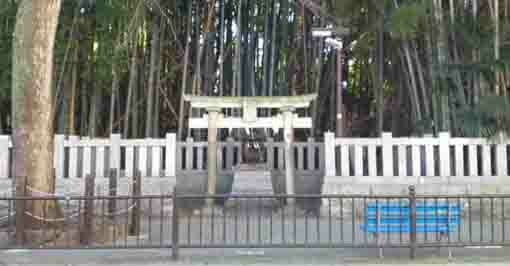 There was a stone frame with his title on the torii gate. And they also built a stone tablet to explain the reason to dedicate him. 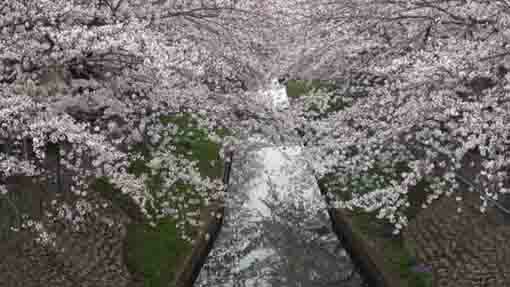 However, they were destroyed by an awful typhoon in 1791. 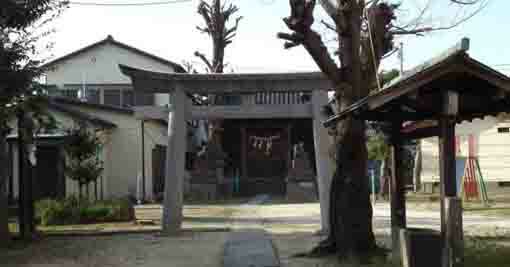 The reason for why the shrine of Wang Xi-zhi being built might be the number of visitors to Chokokusan Ankokuji Temple, many of visitors visited Ankokuji and the ruin of Soyajo CastleTemple after they had enjoyed sightseeing at the historic battlefield at Konodai and the legendary place of the Myliad of Leaves, Mama. Soya Family is a samurai family and is a branch family of Chiba Family, so it belongs to Kanmu Heishi Clan. Soya Family had their castle in Soya-go, Yawata-sho, Katsushika-gun, Shimousa Province. In the age of Nobunori, he deeply believed in Nichiren, the founder of Nichiren Sect, and he became a Buddhist priest and he was given the Buddhist name, Horen Nichirei. 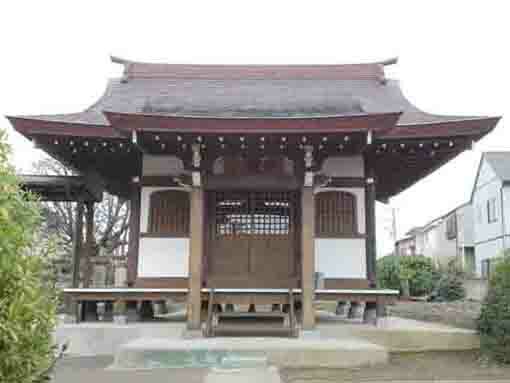 The venerable Nichijo, the first abbot of Nakayama Hokekyoji Temple, Noriakira Ota and Nobunori Soya supported Nichire in Shimousa province together. Wang Xi-zhi was a Chinese calligrapher from Shantung in Dong Jin Dynasty (317-420). He first became a governmental officer. He was good at calligraphy and he completed three artistic font style, Kaisho, Gyosho and Sosho, so he is called Shosei (The God of Calligraphy). His son Wang Xian-zhi was good at it. Their font style was transmitted to Japan in Nara period, they were influenced in Japanese classical calligraphy. There is no his writings, but some copies only exist now. Nankaku Hattori was a Confucian and poet from Kyoto in Edo period. First he served Yoshiyasu Yanagisawa, a politician in early Edo period, as a poet and painter. Later he studied at Sorai Ogyu, one of the greatest Confucians in Edo period. Useki Matsushita was a calligrapher in middle of Edo period, he studied Confucianism at Nankaku Hattori. 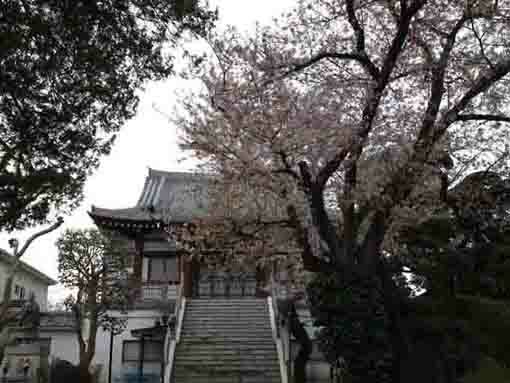 Chokokusan Ankokuji Temple has great accessibilities from both Narita and Haneda International Airport. From Both Motoyawata and Keisei Yawata Sta, take Keisei Bus bound to Higashi Matsudo Sta, get off Miyakubo Sakashita or Kaizuka Iriguchi bus stop. From Higashi Matsudo Sta, take Keisei Bus bound to Motoyawata Sta, get off Miyakubo Sakaue or Kaizuka Iriguchi bus stop. 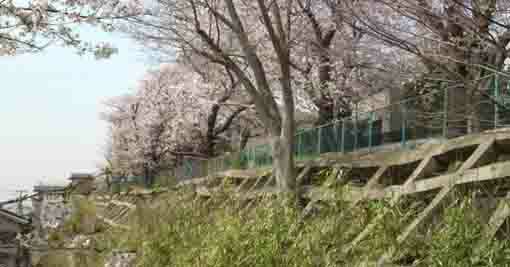 Take 10 minute walk from both Miyakubo Sakaue or Kaizuka Iriguchi bus stop.